A 21-year-old man has been charged in connection with fires at three historically black churches in the US state of Louisiana. Holden Matthews, the son of a police officer, has been arrested on three counts of arson of a religious building. 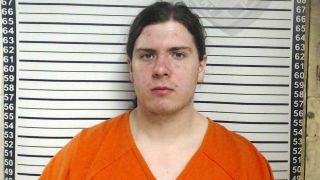 The incidents occurred in Louisiana’s St. Landry Parish country between March 26 and April 4 – and local authorities say they’re now looking at a “possible connection” between the fires and Matthews’ love of black metal. A statement on the Louisiana Office Of State Fire Marshal’s Facebook page says: “At this time, the investigative team is still vetting several potential motives. “However, information investigators have uncovered, and that Matthews has offered, suggests a possible connection with a genre of music called black metal and its associated history with church burnings in other parts of the world, which have been documented in movies and books. According to The Daily Beast, Matthews’ Facebook page is alleged to have shown he was “active in pagan and black metal pages” and had commented on posts about Varg Vikernes, who spent 16 years in prison for the murder of his Mayhem bandmate Øystein ‘Euronymous’ Aarseth and who was also accused of church burnings in Norway. Each charge against Matthews carries a maximum sentence of 15 years in prison.